Do you read books while having breakfast in the morning? That is you place the book flat on the table in front of you as you eat your meal. This means you have to read the book hands-free. This also means that the book should lie flat on the table at the right page so that you can read through it. If you do, then you know that flipping the pages and keeping the book open can be a struggle. This is especially true if you are reading a paperback. Well, here's the good news: it doesn't have to be a struggle anymore. There are a lot of creative minds out there who came up with small inventions that can help you read books hands-free. 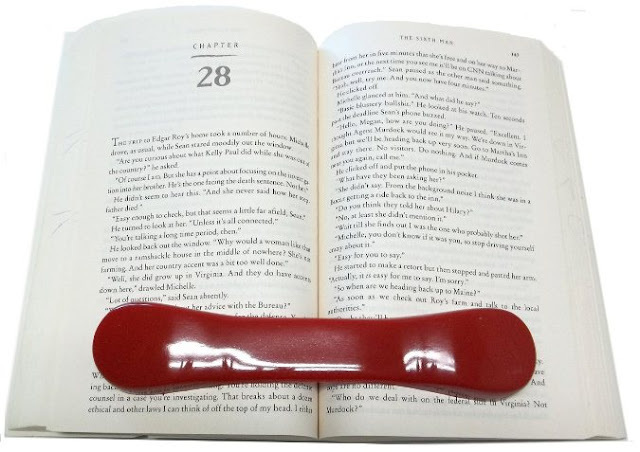 These little inventions are interchangeably referred to as book weights, paper weights, or book page holders. 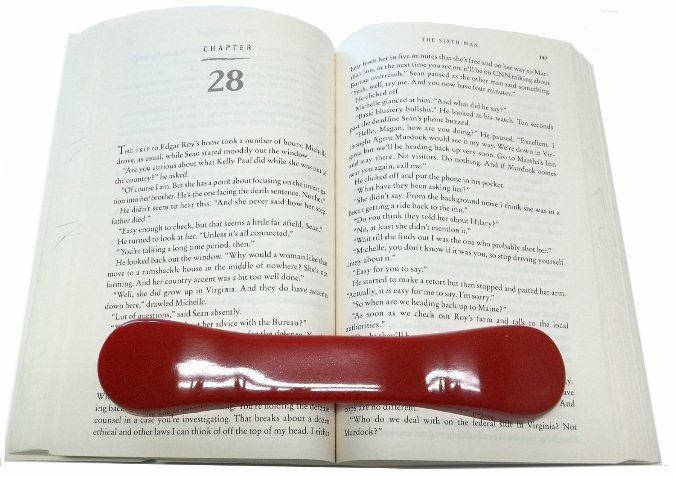 Basically, a book weight is something that you place on top of an open book to keep the pages on each side lie flat so that you can read the pages without having to handle the book. It can be made of rubber, wood, leather, or even metal. 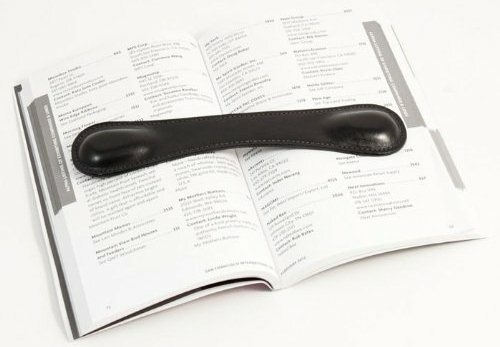 If you are looking for a hands-free book weight, here are some of your choices. 1) The BookBone - When it comes to book weights, this is arguably the best in the business. It's very affordable. And most importantly, it does what it's supposed to do. This is basically a strip of thick rubber with both ends weighted. Because it's made of rubber, it doesn't slide off the page too easily. The items are available in three colors - red, blue, and green. They can be used on paperbacks, hardbounds, and magazines. The items are available on Amazon. One piece is worth $9.95 plus shipping. You can also purchase them in sets of three at $29.95 plus shipping. Below is a picture of what the book weight looks like. 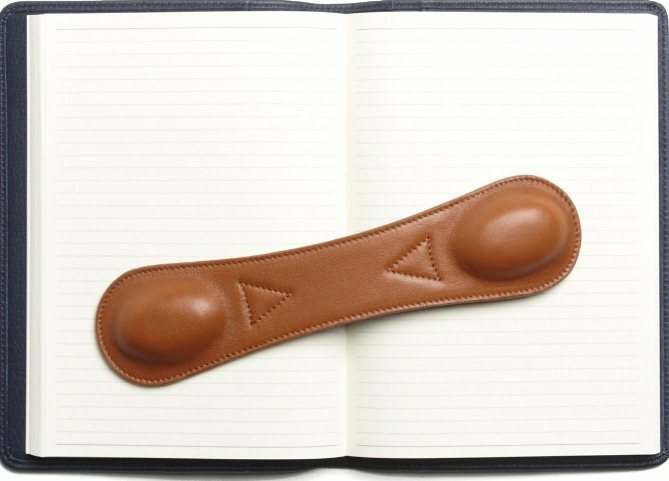 2) The Book Weight by Leatherology - This one has several unique features. One, it's made of full grain leather so it's flexible and it looks pleasing to the eye. Two, it contains lead-free weights. Three, it's very flexible. Four, it's strong and durable enough to hold heavy types of books like art books and textbooks. And last but not the least, it arrives to your door packaged in a gift box with a micro sleeve. It's also available in over a dozen colors that include cognac, black onyx, kelly green, navy, red apple, chocolate brown, and orange. However, one disadvantage of book weights made from leather compared to those made of rubber is that they sometimes tend to slide off the page of a book. 3) The Black Leather Book Weight by Bey-Berk - This is perfect for all types of books and magazines. It's made of genuine leather. It's a little bit light though so it might not be able to hold huge books or books with very stiff spines. And as was mentioned earlier, it's made of leather so there's a chance it will slide off a page especially if the page is made of glossy paper. 4) The Clear Acrylic Book Weight - Compared to the three items discussed above, this one is very different. 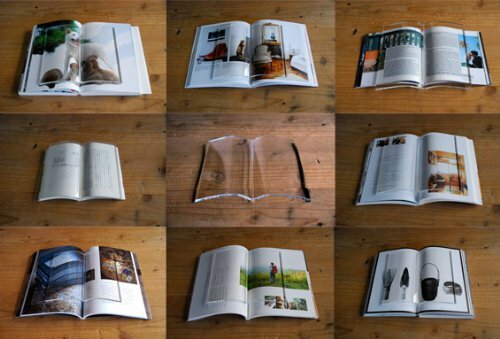 It's made of clear acrylic and it's designed to imitate the surface of an open book. To use it, you just place the pane on top of an open book. It's great for students and others who need to keep a book open as they copy or analyze the text. However, it only measures 7.3 by 8.3 inches so it might not be practical for bigger books like art books and textbooks. It's perfect for paperbacks and small hardbounds though.